Established in 1870, Ohio State University, commonly referred to as OSU, is a public institution founded in 1870 located in Columbus, Ohio. OSU is our nation’s third largest campus, home to 45,831 undergraduate students. Sports are a big part of life at OSU, with the beloved Buckeyes competing in the NCAA Division I Big Ten Conference. Columbus is considered one of the most livable cities in the Midwest, often nicknamed the biggest small town in America and cited by magazines such as Time, Money and Fortune as a top ten place to live. Transportation: Fly into John Glenn Columbus International Airport, formerly the Port Columbus Airport, located six miles east of downtown Columbus. Arriving by bus? Columbus Greyhound Station is located at 111 E. Town Street in Columbus. For tickets and travel information visit their website. Lyft and Uber operate out of Columbus as well as taxis. Note: Amtrak does not travel to Columbus, only serving Toledo, Cleveland, and Cincinnati in Ohio. Stay: The Blackwell Inn has an ideal location right on campus, it’s a full-service hotel and the most convenient option when touring. The Blackwell offers complimentary, prearranged airport transportation to and from the airport, a nice perk of being a guest. Newly renovated, Springhill Suites by Marriott is a great option too. Other hotels around campus include The Courtyard by Marriot, The Hilton Garden Inn, Hampton Inn and Suites, and The Fairfield Inn and Suites. Situated on North High Street, in the trendy Arena District, many families check into the Hyatt Regency. Coffee: Right on campus, head to the Campus Grind for your morning coffee and a pastry. If you're a Starbucks fan, there is one right across from the school on North High Street. Cup o Joe, downtown attracts both students and teachers for their small batch roasts. Breakfast: Katalina's is a funky all-day café and everyone’s favorite for breakfast, try their signature pancake balls, one of the creative egg dishes or Mexican French Toast. (Lunchtime dishes are no less inventive, we hear to order the chorizo tacos) Students say that everything is delicious at Northstar Cafe, but love the Northstar, a veggie burger made with black beans that even has carnivores swooning. Hangover Easy is a comfy diner who believes that “breakfast cures all.” The menu is a fun read with playful dishes such as Struggling To Get up, Frog Eyes, and a Hippy Dippy Parfait. Lunch: Get a taste of life on campus and check out Sloopy’s Diner in the school Union. Also on campus, The MarketPlace, located in the Neil Building, is a favorite eating destination for students. With everything from fresh wraps and hot panini to wood-fired pizzas and stir fry’s there’s something for everyone in your group. For burgers (lunch or dinner), one alum told us there’s no better place than Thurman's Cafe. Serving delicious BBQ Thursday-Sunday, food truck Ray Rays is the place for delicious BBQ. (If you’re in town during the week head to City Barbeque for mouthwatering brisket.) Located in the German Village, Katzinger’s Deli is a sandwich mecca serving Reubens, BLTs, and Clubs. Students say Harvest Pizza is the best pizza in town - hands down! For food market fans, The North Market is a famous public market dating back to 1876 that features local food vendors such as Hubert’s Polish Kitchen, Flavors of India, Hot Chicken Takeover, Nida’s Sushi, and Jeni’s Splendid Ice Creams—just to name a few. Located three miles south of campus, hop on the #2 COTA bus that runs along High Street. Casual: Parents rave about the made-from-scratch food and classically inspired cocktails at The Pearl. Wolf’s Ridge Brewing is a family owned establishment featuring craft beers and a menu that has something for everyone. For authentic Japanese, students steered us to Kihachi. The Sycamore is a favorite neighborhood spot. We hear the Nashville Hot Chicken sandwich is a must order. A Step Up: Hyde Park Steak House, Eddie Merlot's and Hudson 29 are all well known serving excellent steaks. The Guild House showcases tasty American cuisine in a sophisticated and beautiful environment. In Short North, Marcella's has legions of fans for home-style Italian fare while in Arena Martini Modern is another favorite Italian spot. Some other hot tables in Columbus include The Refectory, G. Michaels Bistro and Bar, and Mitchell’s Ocean Club. Local Attractions: Explore COSI (Center of Science and Industry), located in downtown Columbus, widely considered one of the top Science Museums in the country. Stroll the Short North Arts District, home to art galleries and exhibit spaces. Consider yourself lucky if you’re visiting on the first Saturday of every month when the district plays host to ‘Gallery Hop’ with everyone descending on the strip to see all the new exhibits—a fun night! The Columbus Zoo and Aquarium is one of our country’s best zoos, just 30 minutes north of campus. Just toured the OSU Campus? 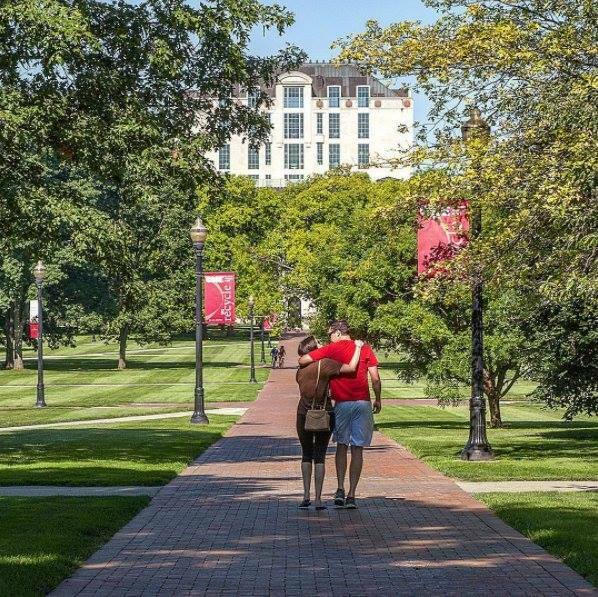 Are you a OSU student, parent or Alumni? 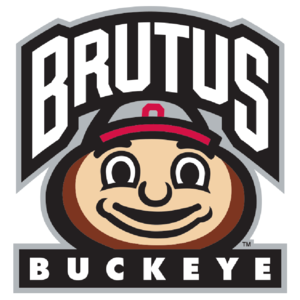 Fill out this 2 minute survey to supplement our Daytripper University Guide for OSU!